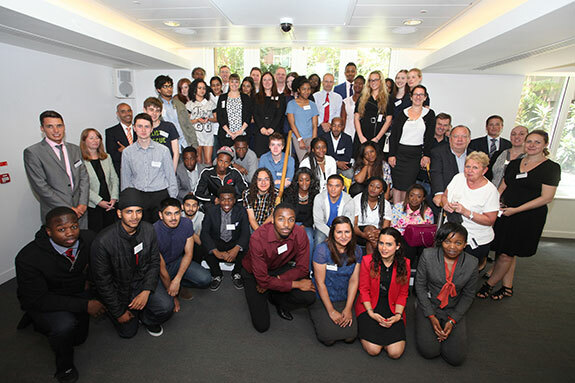 On 29 July 2014, HFW's London office hosted a work experience day for young adults in collaboration with two of the firm's chosen charities, Robert Levy Foundation and JusB. The charities specifically aim to help young people and provide them with the key skills and support they need to build their own lives. Over 40 young people took part in the day alongside a team of HFW volunteers, including fee earners and business services staff, headed by Matt Illingworth, Partner and Paul Wild, Head of Revenue. Response to the experience has been very positive and the CV writing competition in particular, the two winners of which will each have the chance to enjoy a weeks work experience with the firm, was met with great enthusiasm.